Apple’s iPhone is one of the costly mobiles in the world. The quality and performance of iPhone is of top quality and no other phone matches the same. Due to its quality, performance and price; it gets stolen by many people. There is also other chances that you may forget it somewhere or you are not finding it in your own home. There are number of things possible and it can cause a panic if you lost your $900 iPhone. Apple is going to release iPhone 6 soon in this month. The estimated cost of iPhone 6 is above $900. Imagine the possibility of losing it. You will go mad. However if you are smart enough then you will take precautions before it gets lost or stolen. There are number of application available on iTunes which can help you locate, track or find you iPhone. These apps can also do a number of other features such as ringing the phone, clicking the pictures from camera, erasing SD card and much more things. Find My iPhone is an app as well as iCloud feature from Apple which helps you track,locate and find your iPhone anywhere in the world. With iOS 7 and above, you can even use turn by turn direction to find your phone. It can be used in two ways. For both of them, you need your apple credentials. In case your iPhone is lost then you can use Find My iPhone app on your friends mobile using your credentials and then you can track and locate your iPhone. Suppose you want to locate it through website then you need to login on iCloud website and then click on Find My iPhone Feature. You can see all your devices there. Choose which one is lost and start tracking. You can multiple things from both these features. From wiping out your phone to sending a message on your mobile, everything can be done! Device locator is one of the best apps on iTunes which can help you find your iPhone and iPad. It’s a paid app and you can download it for $4.99. Secondly, it’s a one time fee and there is no monthly subscription. It’s one of the oldest apps to track your iPhone. 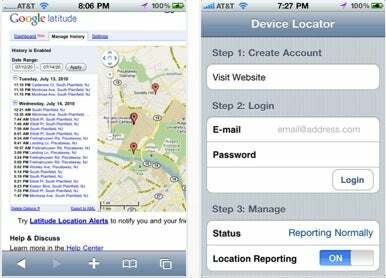 You can get iPhone’s location history, locate misplaced phone and can use it as a tool to stolen iPhone. As the information is loaded to a central server, you can login and check all these data on the website. You will get a web based account on which you can track and locate your iPhone. You can track any of your apple devices such as iPhone, iPad or iPod. Give it a try as many people have found their iPhone using this great app. 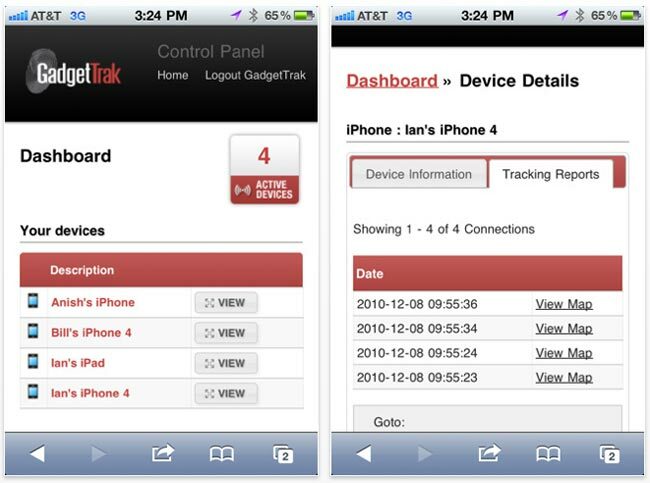 GadgetTrak is another one of the best apps which is available for free on iTunes. It performs the same function as other apps. However paid apps have little bit more features beside Find My iPhone. It’s also a web based tracking app. You can track your mobile through GPS, map and using IP address too. It’s also generated reports on locations of your iPhone if you report it stolen. You can get an idea about the area. There is also an deleting apps restriction feature which disables the function to disable your tracking. It can also click pictures from camera remotely for evidence. Give it a try and share your experience. This entry was posted in Track My iPhone and tagged Best Apps to Find My iPhone, Best Apps to Find Your iPhone, Best Apps to Locate My iPhone, Best Apps to Locate Your iPhone, Top Apps to Track Your iPhone on September 9, 2014 by satyenhacks.